Consie Sindet has been painting and teaching decorative painting since 1999. 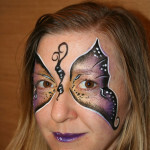 In 2008, she added “skin painting” to her business and is enjoying the new world of face and body painting. 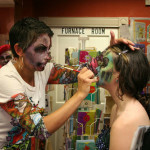 At the 2009 Fabbulas Convention in Philly, Consie had the pleasure of teaching a class combining her OneStroke painting with the world of face painting. Please visit Consie’s blog to see more of her creative work. Consie is also recognized for her unique murals and borders, that she has designed and painted in many homes and businesses in NJ, PA, GA, WA, NY and VA.
Kristine Murray has been a faux finisher and color consultant for over 10 years. She jumped right into the world of creating art on a “living canvas” and is the artist behind all the henna designs. 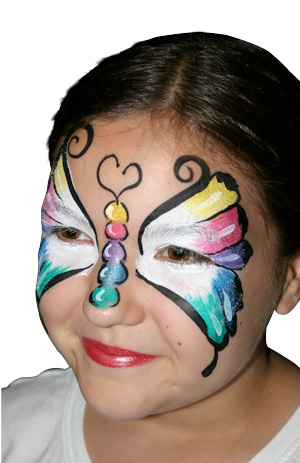 She enjoys drawing on her experience from the decorating world to create innovative transformations for her clients. Kristine has had the privilege to work for clients in NJ, NY, PA, CT and FL.